I have been informed of a site that allows us to post our models on to show them off in 3D with all of our loyal fans. Well, this being said, we have started using it and the Model of the Concordia has been added to the Media section, just look under the basic media section, do not click on the sub categories. We will be updating this site more and more with our models, including new ones as we finish them. Enjoy everyone. So in the last week I have been playing with the Titans Idea, and I must say that we have come up with something that we feel will suit the mod. Instead of having a Rebel and Loyalist faction for all the races, essentially creating 10 races, we have decided that instead of that we will give each race access to 2 Titans. Now, this being said, you can still only have 1 Titan on the field at a time, so it would be up to the player to decide which Titan they would like to use. Depending on the level of research required, for instance if you wanted to have Atlantis, you would have to research some colonization stuff first, then Jumper bays and such before gaining access to constructing her. Now Titans will be broken up into 2 different styles per race, so for like the Humans, we will have a Carrier Titan, as well as an Assault Titan. So this being said, the Carrier Titan would be focused on producing ships on the battlefield, for when you need an extra fleet to take out the enemy. Assault Titan is just like it sounds, she will be used for taking out an enemy planet, and might even be capable of doing it on her own. Both of these ships are in the design stage, which means the Titan we have shown off will no longer be part of the mod, at least that is the plan currently. For the Asurans, we have Atlantis for our Colonization style Titan, and now, thanks to Nekronus, we have the Assault City Ship called Epheus. She is gorgeous, resembles Atlantis, but will have 2-3 times the firepower. The Wraith we are still deciding on, but for sure we will have the Super Hive for a Carrier Titan, and for the Assault Titan we might do a Super Spire. We currently have a design for the Normal Spire, and in theory it would not be hard to create a Super version of this, which could work for the other Titan. The Asgard will be a little more interesting in Terms of Titans. I was thinking that the Odin Design could be used for the Carrier Titan, will a good deal of Drone fighters and bombers, and for the Assault Titan we would use the Thor Class design that we have permission to use from Deviant Art. The Goa'uld are going to have both the Anubis and Apophis Motherships as the Titans, each with their own special abilities when we get to them. This is all what we have been working on since we released the mod, and this is how we are going to progress into the future. Due to wanting to give you guys more awesomeness the mod will be released on the 31st instead of the 30th. we are happy to introduce our newest team member. His name is Nekronus and works as a Modeller and texture artist. You can find some of his work here. finally we were able to port over the first model to Sins of a Solar Empire Rebellion. It has some issues, but it is a first step. 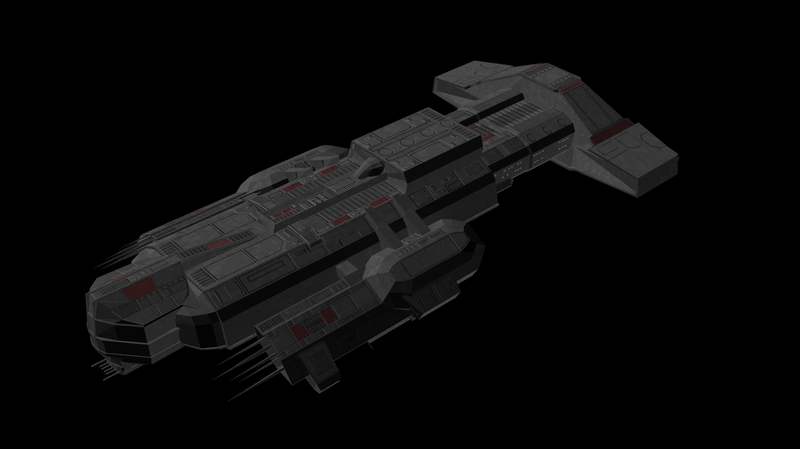 The website has been updated with some new pics of Nemesis and the Navigation in the Media tab has been remade. We have got a new subtopic at Beyond the Invasion, where you can post your ideas for Abilities and tech trees. We are in search of ideas for Asgard and Goa'uld. The post can be found here or in the tab "Beyond the Invasion" on this site. As the title says, we released a Diplomacy 1.34 version of our Mod on 31.12.2011. You can download it from Dropbox and Moddb. Thank you all for your votings in the first round of the 2011 MOTY awards. Because of you we reached the second round. Now please help us to reach Top 3.